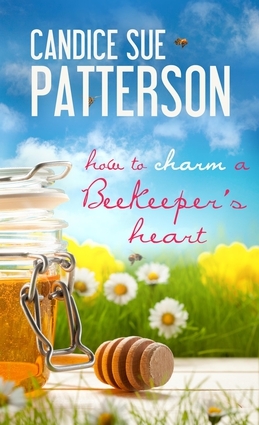 Weddings are the last thing beekeeper Huck Anderson wants to be associated with, considering his past. So when he inherits a building occupied by a bridal boutique, he aims to evict the failing business and open a sporting goods store. That is until his tenant ends up being Arianne Winters, a woman he's indebted to from a mistake made years ago. When a life-threatening injury derails Huck entirely, Arianne offers a compromise to keep her boutique and her life out of bankruptcy—she'll aid in his lengthy recovery if he'll allow her to remain in his building. But nursing her adversary proves challenging when her adolescent crush resurfaces. Amidst a battle-of-wills, their lives intertwine in unexpected ways, providing opportunity to overcome their pasts and start anew. Will this confirmed bachelor consider holy-matrimony, or will Huck's choices sting them a second time? Candice Sue Patterson is an alumna of The Institute of Children's Literature and an active member of the American Christian Fiction Writers. When she is not tending to her chickens, splitting wood or decorating cakes, she's working on a new story. She is the author of Bright Copper Kettles and Silver White Winters. She lives in Indiana in a restored farmhouse overtaken by books.